The Tour Itinerary for Leh Ladakh offers you to experience the natural beuty of Pangong Lake,Sarchu, Manali and Shimla.This Tour Package for Leh Ladakh also covers Surajtal lake and Changla Pass. Tour to Leh Ladakh gives you the opportunity to have a feel of the rich culture of the land. After arriving at Delhi international airport you will be transferred to the hotel. After having breakfast, you can visit various tourist spots in Delhi, such as, Red Fort, the Jama Masjid,Humanyun Tomb, Birla Mandir, Qutab Minar, and drive past through India Gate, President’s House. In the evening, enjoy the Son-et-Lumerie at Red Fort . Overnight stay at Hotel. In the morning transfer to the Airport to board the flight for Leh. You will be met by our representative and escorted to the Hotel. Take rest to get acclimatized . In the evening enjoy a short walk around Leh bazaar. Stay overnight in the hotel. In the morning tour of Spituk and Phyang Monastery by jeep. In the afternoon, walk up to Kings Palace, Leh Mosque, Leh Gompa, and Leh Bazar. Overnight stay at Hotel. Full day excursion to Khardongla Pass. Khardongla Pass is the highest motorable pass in the world and is situated at a height of 5600 mts from the sea level. It has been recorded in the Gunnies Book of world records also. Drive back to the Hotel in Leh for overnight stay. Today early in the morning drive for Pangong Lake through Changla pass 5486 meters. After crossing the pass, you can halt for picnic lunch at Tsoltak, the summer pastureland of the yaks. Arrive Durbuk and from there a short drive takes you to Lukung at the western shore of the lake. Drive along the Pangong Lake upto Spangmik (8 kms), the last point allowed for tourists. This famous blue brackish Lake of Pangong is 5/6 kms wide and over 144 kms long. Later drive back to Leh for Overnight stay at Hotel. In the morning drive to Sarchu via visiting Upshi and you have to cross the second highest motorable pass in world, Taglangla Pass. Drive through Moreplans. At Pang you can stop for lunch and continue driving to Lachungla pass, which is at a height of 5065 mts. After arriving Sarchu, spend the night in the camp. Overnight stay in the tented camp. Morning drive to Manali, Sarchu is the borderline between Jammu & Kashmir and Himachal Pradesh. After 20 kms drive from here, you will enter into Himachal Pradesh and reach Baralachala pass, which is at the height of 4883 Mtrs. Visit lake Surajtal and proceed on to Darcha after Rumtze. Drive to Khoksar. 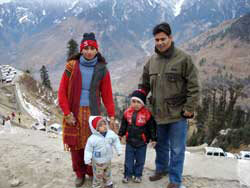 Ascend the Rohtang pass, which is at an altitude of 3978 metes. Overnight stay at Hotel. Sightseeing tour of Manali, visit 400 years old Pagoda Temple of Hadimba Devi and the old Manali to see the Manu temple. In the afternoon, you can visit the Vaishisht hot sulphur spring bath near to Kullu. Overnight stay at Hotel. In the morning drive down the lovely hilly roads to reach the former summer capital of the British, Shimla (Simla). Rest of the time at leisure for independent activities. Overnight stay at Hotel. Sightseeing tour of Shimla, Enjoy the day at leisure and have the fabulous experience on the mall road, the church, the town hall or indulge in a short toy train ride from Shimla station to Kathleeghat station and back. Overnight stay at Hotel. Shimla – Chandigarh : By Surface 130 km/ 3 hrs. Chandigarh – Delhi : By Train Shatabdi Express. 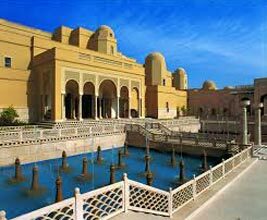 In the morning drive to Chandigarh, on arrival straight proceed to the Railway station to board the fast train to Delhi, met on arrival and transfer to the Hotel.